Are you arriving Manchester airport for a business meeting or for a family trip, option for the Taxi Hire services or Minibus Transfer Services. With the reliable Manchester airport transfer services, our drivers are at your services for 24*7 a day. They stay updated with the arrival time of the flight and in case of any delay, the adjustment will be made automatically. Bookings are made for taxis to Manchester airport as well from other Airport Transfer. The vehicles at us are as swanky and elegant as our precious clients. All the vehicles are equipped with the latest gadgets aiming to add fun to your journey. Some of these gadgets are a DVD player, Charging plugs, Speakers, and Microphones. From time to time, the interior of the vehicle is meticulously cleaned with the addition of a fresh fragrance. You can even choose from 7,8,9,12,14 and 16 seater minibus for Manchester airport. Making Manchester airport taxi transfers easier, our passionate staffs very proudly take part in solving the issues of the customers. The vehicles and drivers are fully licensed. We make sure that all of them are fully trained to handle the most complicated situations. Moreover, all these packages are tailored in such a way that it suits every budget and pocket. 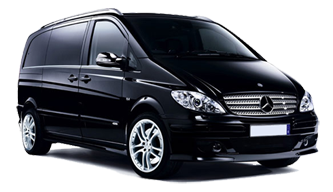 With our Minibus Hire Manchester airport services, you will receive the most valued services at the most economical value. Feel free to call us at 02034755518 or avail a free quote by filling a simple form at our inquiry page.